Time for music, as it is Friday afternoon, and if you haven’t heard this, it is special. 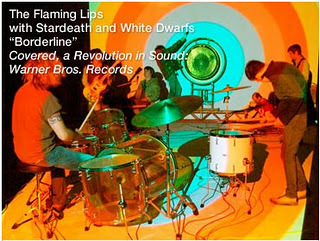 I have always loved the Flaming Lips. I, however, did not know that a couple years back they got together with Stardeath and White Dwarfs and did this ridiculously beautiful, epic cover of Madonna’s “Borderline.” Then somebody posted it on Facebook the other night with the description “WOOOOOOOOOOOOOOW!! !” attached to it, so I had to listen. I concur with that reaction. So we will start with that today, flick the switch on the iTunes shuffle, post the first ten random songs that come up, listen to some music, etc., etc. More videos after the jump!